"It was so important to get him out of there." 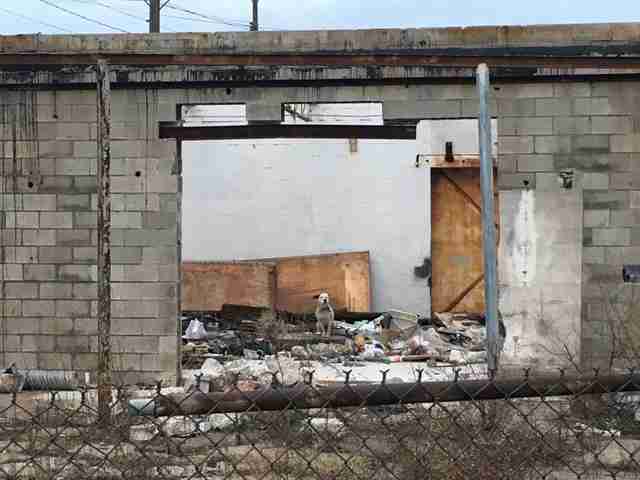 There's no telling how long this lonely dog sat in the ruins of a building by a highway, waiting for his hero. But when Mike Diesel pulled up, it was clear that he'd been waiting too long. 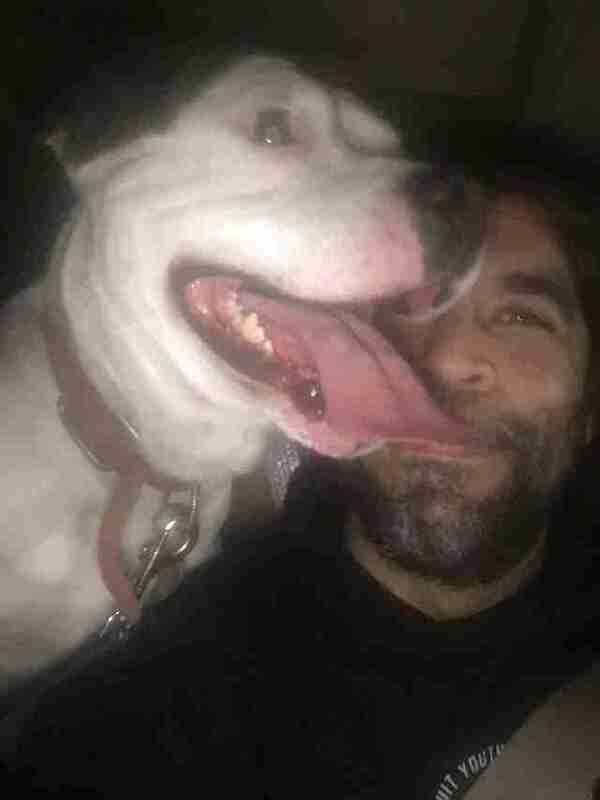 "He was literally on top of the [highway] ramp, which is only about 20 feet to the right of the building, hence why it was so important to get him out of there," Diesel tells The Dodo. 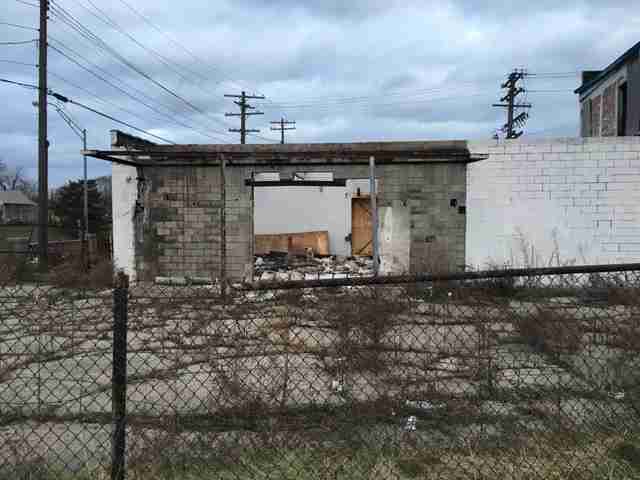 Diesel had gotten the call from someone who had seen the dog sitting in the ruined doorway of the old building in southwest Detroit, Michigan. 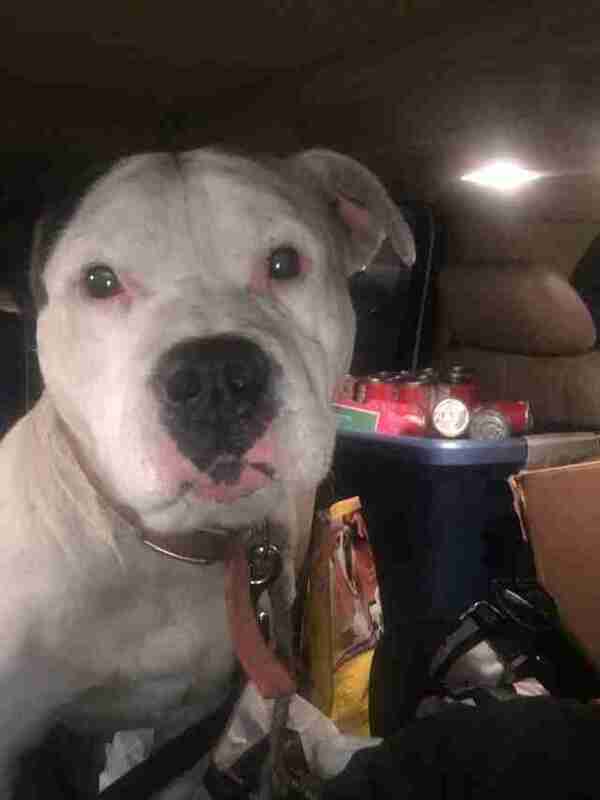 It took about 15 minutes - and about 15 treats - for Diesel, founder of Detroit Youth and Dog Rescue, to get the dog in his truck. "He could smell my scent on [the treats] ... so when I approached he was happier," Diesel recalls. "It did take about 15 minutes just to get him to walk out of there and to my truck. He was leery." But the dog, who was cold and shivering, still had a few miles to go before he could fully trust his rescuer. "Not easygoing," Diesel says of the dog. "But willing to trust a soft voice with no harmful tone to it." 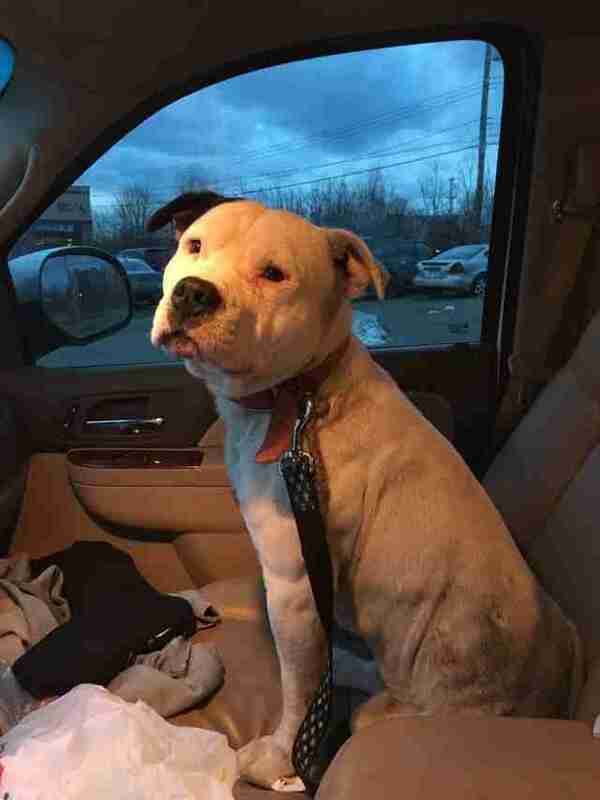 And, of course, Diesel is exactly the right man to build that trust - in October, he spent more than 15 hours trying to befriend another dog who had been left behind when his family moved away. That dog, named Boo, eventually found a forever home. 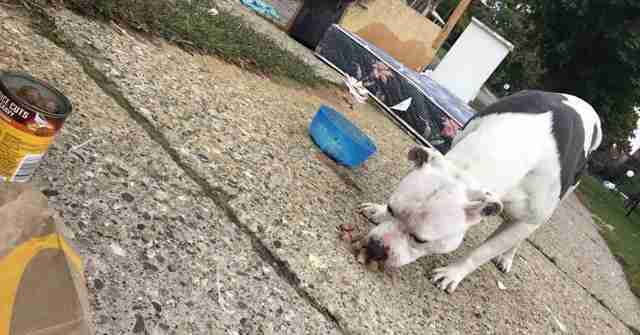 A home for the dog found in the empty building will take a little longer. The dog, who was named Diesel after his hero, is still being treated by a veterinarian. But without a microchip or anyone coming to claim him, he will soon need a real family - the kind who doesn't see him as disposable. He's already building a solid foundation of trust. Get in touch with Detroit Youth and Dog Rescue through its Facebook page. And if you would like to support this group's mission to save countless dogs like Diesel, consider making a donation.